When it comes to skills, including web design, one rule towers above everything else – practice makes perfect. Nonetheless, with several tips to set you on the right path, you can easily create a smoother learning-curve for yourself and ensure that you reach a higher level of proficiency much sooner. Of course, enrolling in an online course or two won’t hurt. 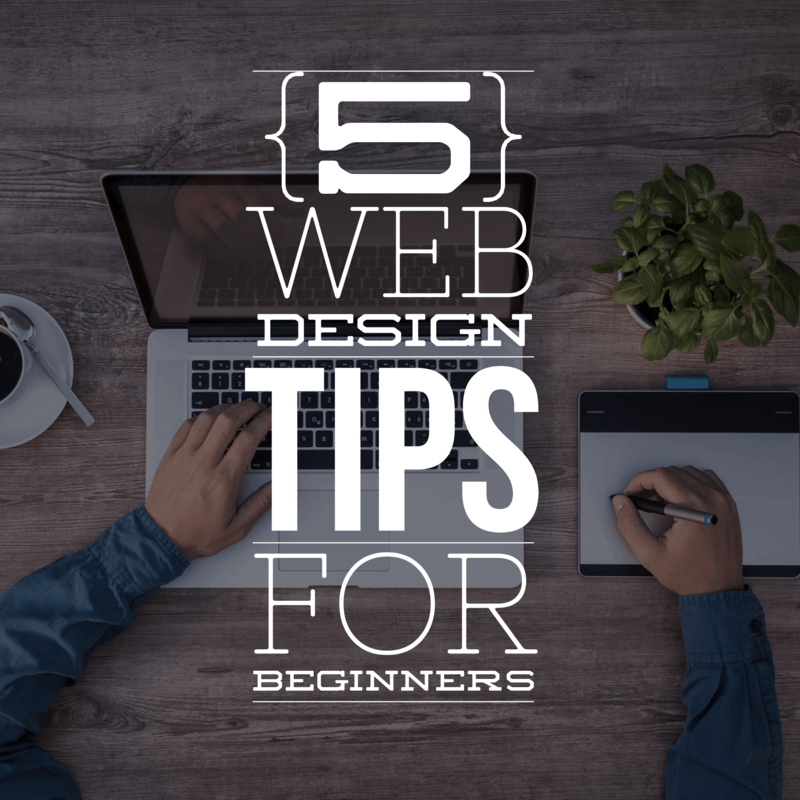 Still, here a few pointers that might just help set you on the right path, even if you’re a self-taught web designer. Using a completely different style on every single page of the website may be exciting and creative, and it may give you more room for practice and experimentation, but it usually isn’t a good idea. 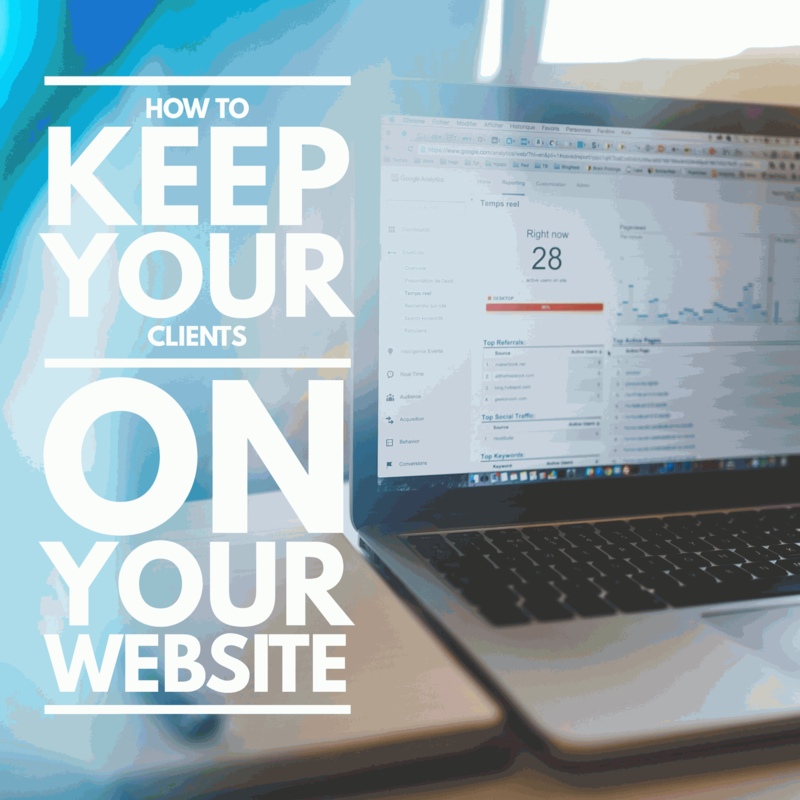 The reason behind this is the fact that it can be incredibly confusing for your clients. Every single page needs to appear only as a part of a larger entity, which is where standardized themes come in. Furthermore, making each page too dissimilar can be a bit problematic during navigation, as some of your visitors may assume they have left your domain entirely. One of the most important statistics you have to know is that nothing drives people away quicker than a non-responsive website. In fact, an average internet user expects a page to load within 2 seconds, while after 4 seconds you may lose 25 percent of your entire audience. Sure, you might feel like something’s missing from your design, but adding more and more elements that will take additional HTTP requests will only slow you down. On the other hand, going with minimalism is both quicker and simpler for a layman to pull off. Listening to a few pieces of advice on the internet can really take you a long way, but in the digital world, anyone can write anything without even offering credentials or facts to back their claims. This is why it is essential that you find someone worth following, and try to learn on their example. One of the things you could do is reach out to your local web design experts. For instance, if your operations are NSW-based, you could look for ecommerce web design experts from Sydney, and ask for a free quote or schedule an appointment. While still not the same as finding a mentor, this alone can immensely help you in your efforts. 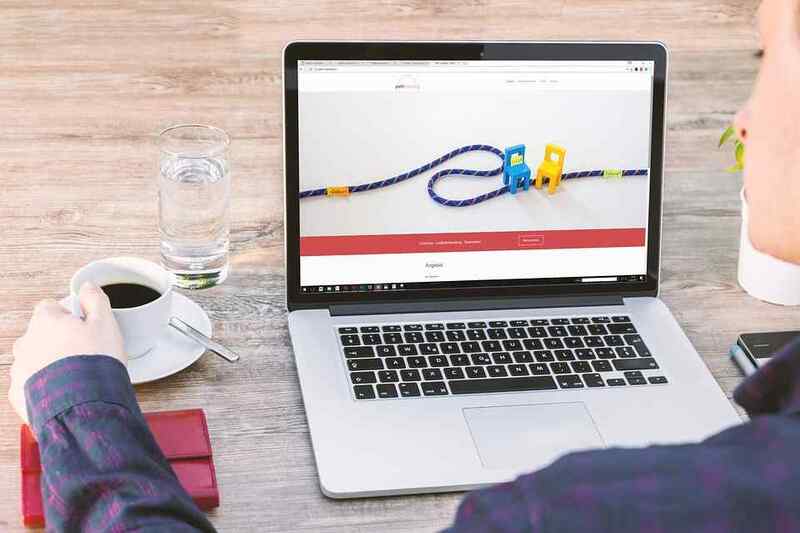 Another thing you need to keep in mind is that there are many web design tools out there, and the sooner you get accustomed to them, the better. Coding websites or apps, creating immersive animations or even avoiding code entirely can be achieved with the right tool. In fact, some of them are so essential to developers all over the world, that they can’t even remember what their profession was like before these platforms were introduced. Finally, you must always have digital marketing in mind when designing a website. Search engines love well-designed pages and responsive design. Furthermore, an intuitive navigation can ensure that your pages are crawler-friendly and, therefore, quickly indexed. Overall, it is in your best interest to adopt some of these trends while you are still learning the trade. The list goes on and on and as you learn the game, you will start obsessing over things like browser compatibility, making your own clip-art and finding the right ratio for your graphics. Nonetheless, for the time being, just adhering to these five simple rules can make your designs much more effective. For those who can persevere in this trade long enough, there is no end to possibilities. If you’re just starting your own business, you’re probably trying to come up with the best ways to promote your brand. Even though some new marketing channels such as social media and SEO are on the rise, you should definitely make sure you don’t ignore some more traditional marketing channels such as email. This is the case because email marketing is still one of the best ways to get your business noticed. 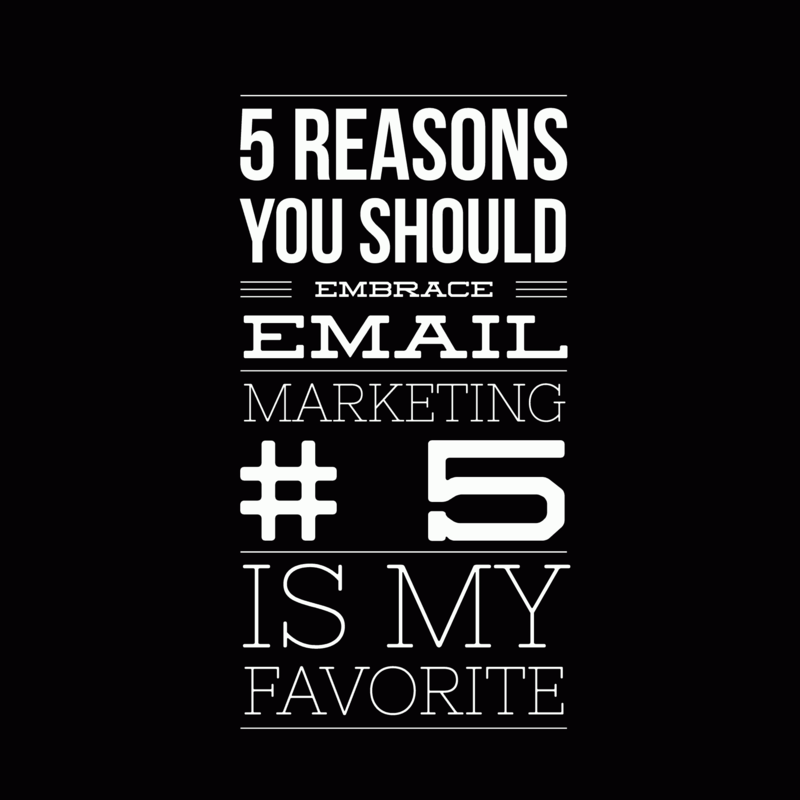 And if you’re not convinced just yet, make sure you check out our list of 5 reasons why you should embrace email marketing. What makes email marketing such a great way to promote your brand is the fact that it’s inexpensive. In fact, it’s one of the cheapest ways you can get your business noticed. While billboards, TV commercials and promotional videos tend to cost quite a lot, all you’ll have to cover when using email marketing is a software that will help you automate and track all of your emails. Using one of these is definitely a good idea since it can help you make your emails more personal, which is a huge plus when marketing via email. Email marketing can also help you make sure your audience stays informed about what’s happening in your business. They check their email when they find it convenient and receiving an email from you will give them a feeling that you’re thinking about them. And that’s the perfect opportunity for you to give them an update on your products or services. The customers who receive your emails have signed up to your email list which means they’re likely to enjoy such emails. Between 2005 and 2008, email was the most popular social network in the world. And even though we had platforms such as Facebook and Twitter emerge since then, email is still alive and kicking. This means email has already stood the test of time and made it through quite easily. And due to its simplicity and convenience, we can expect email marketing to stick with us for decades to come. Therefore, you should welcome the stability of the platform and not be afraid to invest in it. No matter what kind of business you’re running, you should always try to make your customers perceive you as reliable and responsible. And one of the best ways to do that is to send emails. Emails with no typos and spelling mistakes are always going to leave a strong impression on your customers. Moreover, you can now include an email signature in your emails to make them appear even more formal. And if you decide to use an email signature generator, you’ll be able to make one of these in no time. 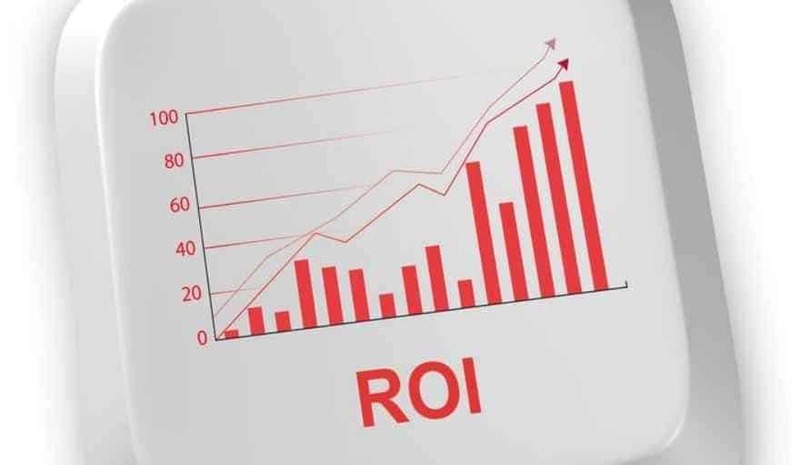 Another great thing about email marketing is that it gives great ROI. In fact, email marketing has one of the highest returns on investments when it comes to digital marketing. According to some reports, for every 1$ you invest in email marketing you can expect to get $43 back. However, you should bear in mind that email won’t magically provide you with amazing returns. You have to monitor your email marketing campaign, identify the practices that have proven to work the best for you and shift your focus to them. 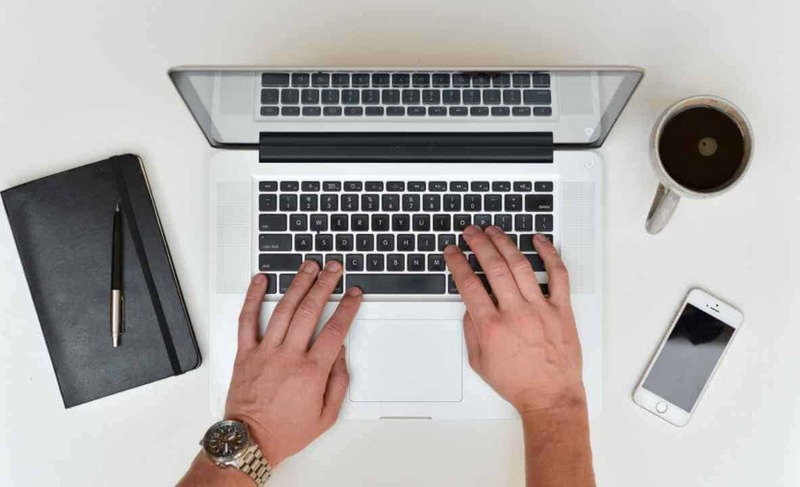 It’s easy to see why all the big companies out there still have an email marketing policy and if you’re just starting out as an entrepreneur, you should make sure this is the case with your business as well. So, make an email marketing checklist and get started straight away. Once you’ve got an awesome app idea, it’s high time to consider the costs needed to develop an app. But hold a second, a startup doesn’t blend seamlessly with an app - it’s two separate processes going either hand by hand or absolutely independently. 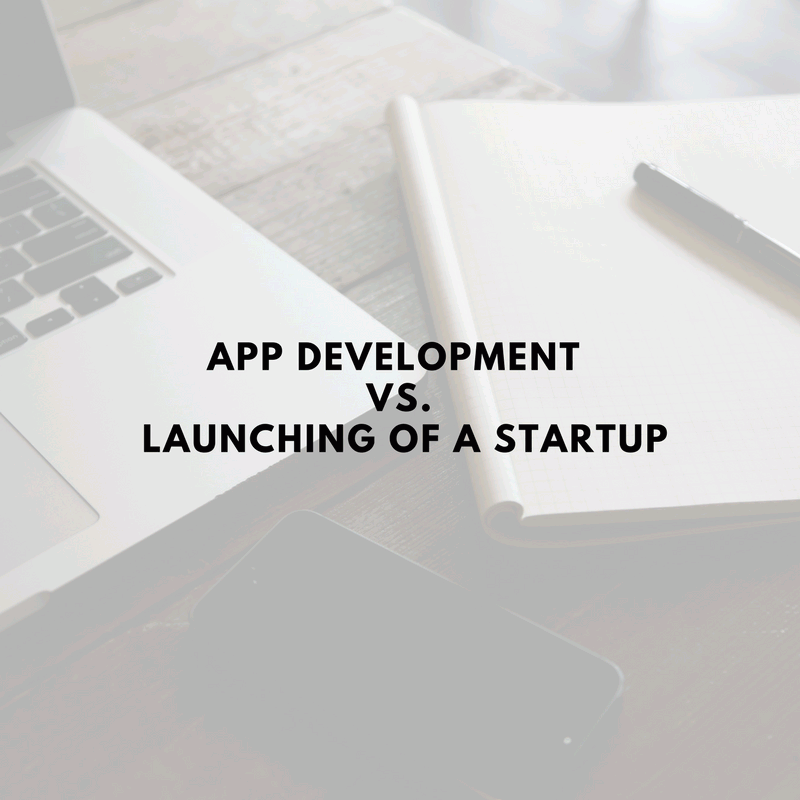 Most people mistakenly believe that developing an app equals to launching a startup. In fact, you can send forth a startup and then engage in developing an app. Let’s get started analyzing the most frequently asked and shared Google answers. A vast majority of people have no clue of the factors influencing the price of an app. 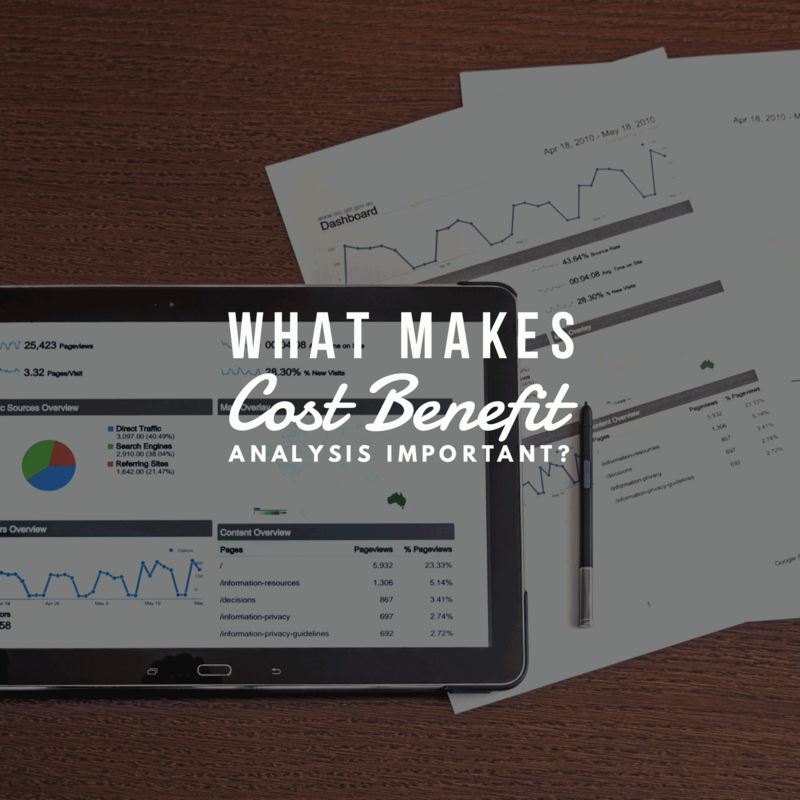 Understanding the key drivers of app development pricing will help you make an informed and cost-effective decision. What is the functionality of your app? Which pains does it solve? And what 3rd party services are required? These are the basic questions to answer when you’re going to build a custom app. For example, your app needs to display all nearby restaurants and allow rating and comment on the dishes, etc. like Yelp. GPS or location features, feedback and communication services need to be developed. In a nutshell, the more features an app has, the more it will cost. One more important thing to mention, all features aren’t equal i.e. some are more complex to develop than others. To save time and money, you can use some features developed by a 3rd party or APIs provider. Because there are a great many of screen sizes, you should decide on the platform (iOS, Android, the Web or Windows Mobile) as well as on a preferable screen size. In fact, the more is the number of screens, the more design and user experience work is needed. Each screen requires a particular navigation through the app. And if there is a vast number of “paths” through the app, the time, as well as the costs, required to develop an app is increased. In case your app offers chat or booking or has a database, you’ll need a server. There are a great many of cloud servers nowadays that you can rent for a song. For example, Amazon Web Service offers a virtual place for apps, and you don’t need to buy a server anymore. Instead of that you rent a space needed for storage and pay for time using the server. Taking into account, there is a good many of variable influencing the final price of the app development, the price may range from $5,000 to $500,000 assuming that the app isn’t complex like Uber. In case you want to develop an Uber clone app, the prices start from $75,000. СB Insights states that launching a FinTech startup today is failing. And since 2011 you need at least $5,000 to start your business. 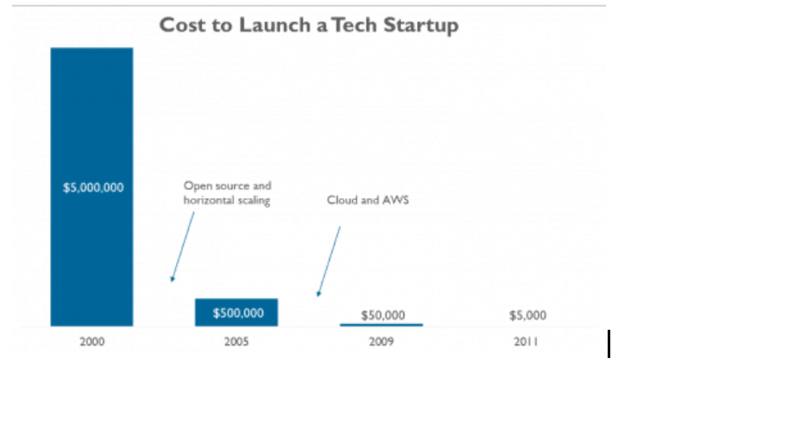 But consider the fact that the costs needed to run a startup are much higher than those required for launching. 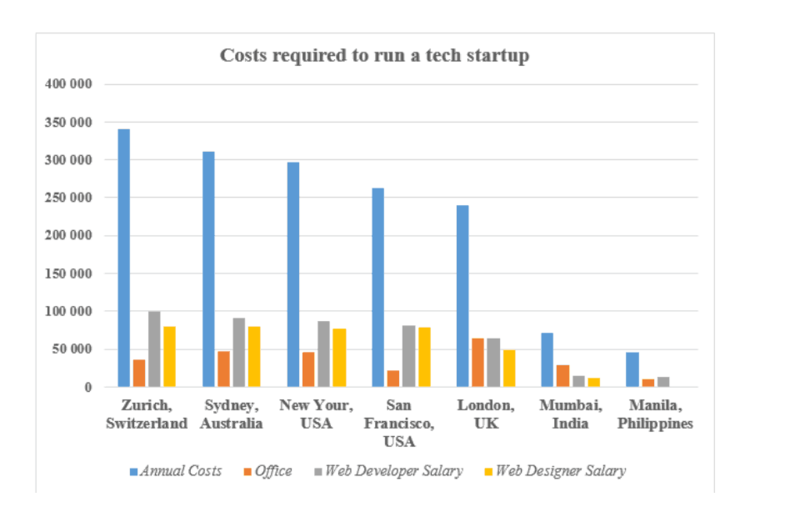 For example, the latest research reveals that you need to spend around $314,000 annually to run a startup in Zurich with two web developers and designer, and in Manila, it’s six times cheaper. Another interesting thing to consider that there is a huge difference in the rates of designers, developers, and offices. The more quality products and the more experience has a developer/a designer, the higher rates for work. But it’s another topic to cover. An interesting story happened to Groupon, a second fast-growing startup that features a billion-dollar valuation. Andrew Mason, the Groupon founder, thought that it was a harsh time when they got started. Initially, it was an average WordPress blog used for selling T-shirts, and, moreover, there wasn’t any from for size and color. They received orders via email. Then they decided to start generating PDF coupons and send them to people. When they reached a milestone - 500 sushi coupons, they realized it was a real success. After Groupon sees its ever-growing popularity, they have developed the app to keep up with the times. All in all, the costs needed to deploy an app and launch a startup are as different as chalk and cheese. And sometimes it’s even better to launch a startup with a site, and in case it wins, start developing an app to bring the customers more benefits. The key point is, launching a startup doesn’t depend on an application. You can follow the Groupon success story, and we bet, you won’t crater. According to PRSA (Public Relations Society of America), the term “public relations” refers to a strategic communication process that creates mutually beneficial relationships between organizations – individuals, companies, or brands. Traditional and digital PR differ in the ways the channels in which they reach their audience, the way they build these relationships, and the tactics they use in the process. The tactics of the two are similar, but digital PR has also added the benefit of link building across the Internet and impacting SEO. Digital PR tactics are measurable and provide tangible insight and results. In order to show the Importance of digital PR, we give you several key things to have in mind if considering whether to incorporate digital PR into your marketing budget and strategy. Today’s world markets are highly competitive, and one of the ways to position yourself in front of your target audiences is to create media opportunities at publications with large reaches. By leveraging trusted publications, you’ll establish your company as being on the cutting edge in your industry. It can serve as an opportunity for prospective clients and customers to interact with your brand in a unique way. Marketing strategies of many organizations focus on creating interactions with potential customers through websites, social media, and landing pages. However, they might not initially convert the potential customer because of lack of influence. Interactions with potential customers are created by digital PR leveraging vetted organizations in order to build upon the brand. By doing it in a natural way, the message will sink in easier, with content marketing strategies only being strengthened. According to Financial Times, public trust in traditional media is at an all-time low. Their research reveals that people favor their friends and Internet contacts more when it comes to news sources and truth. 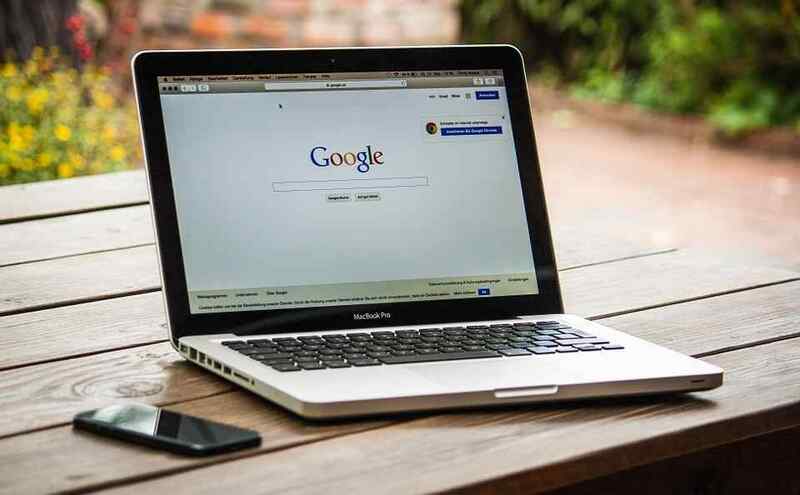 People shift their faith towards the Internet as a purveyor of the truth, and online search engines are considered to be more reliable for information than traditional media. On the other hand, one must not forget that not everything online is true, because there’s a huge amount of alternative facts and fake news that can’t be escaped. Unfortunately, there are websites that deliberately distort the truth, in their race for increased traffic and revenue. Digital PR creates opportunities to share your story without misinterpretation, filters, or selective editing when the information comes from your own newsroom, created so to protect your brand. Search engine optimization (SEO), is the concept that no finance or marketing article can go without at least a mention. Digital PR is the best-proven way to build highest quality backlinks that tell Google that your website is valuable and trustworthy. These indicators will help place your organization higher up in search engine results pages. Your own website gets stronger when you land a backlink from a domain authority. The best places to land high-quality backlinks is in the larger media landscape because their websites are incredibly strong and they’re always looking for content. With digital PR, you can pitch professionals in your niche industry to provide an expert commentary on current stories and trends. Also, high-quality backlinks can be created through byline articles. Digital PR team, comprised of people skilled in pitching articles to publications and people with contacts (those with a background in public relations or journalism) to land these opportunities. These two strategies are used by digital PR teams to reach the top-notch publications. By landing your links there, your website’s domain authority will skyrocket, causing your site to rank higher in the Google’s search results. Negative press destroys a reputation. Reputation has always been important, and it’s more important than ever in the digital age. We have access to information about anything within a few clicks, including the ones about companies we might be interested in doing business with. Mistakes are made in every business – a customer service snafu or product launch gone bad - and can have long-lasting consequences in today’s digital environment, especially if the stories about them gain traction online. Digital PR is one of the fastest ways of getting new, positive content into the large media landscape. 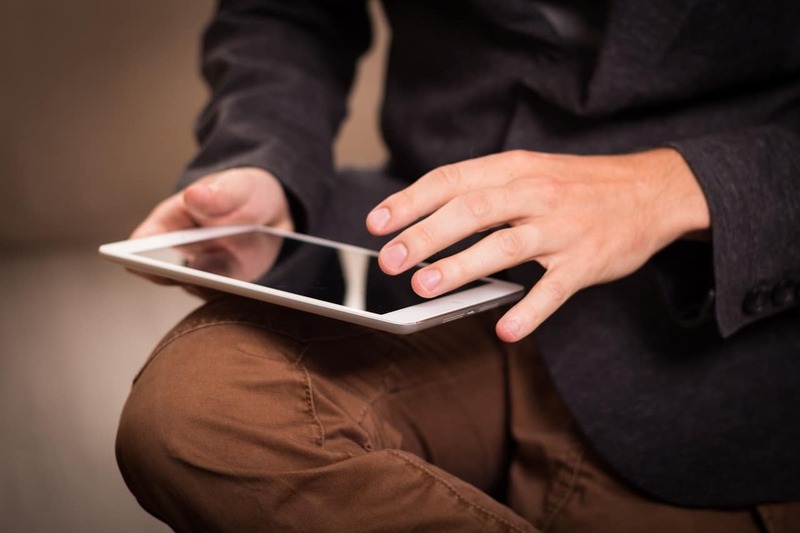 Digital press releases can be distributed so they show up in authoritative media outlets. There may be some differences in formatting (depending on which network you use), but PRs are generally simple and concise news stories – going from new hires to new charitable works or product offering by your organization – and they can help you greatly with handling negative press. Bad PR is something you should be prepared for, and it’s done by identifying potential crisis scenarios, developing response procedures, and reacting quickly and swiftly by addressing the public through the right channels (authoritative site’s that deliver authenticity). 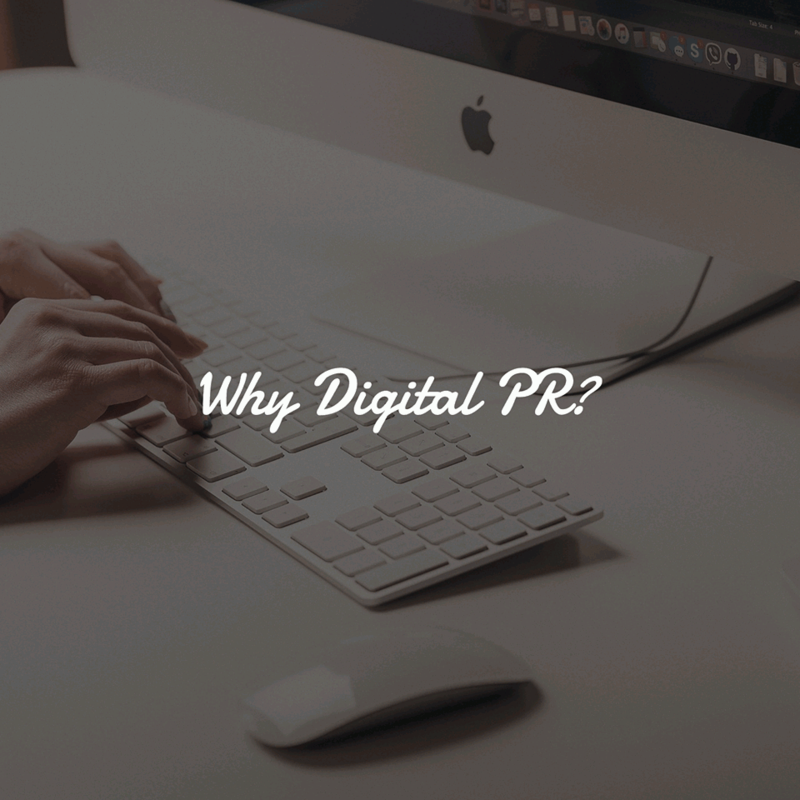 Living and doing business in a digital environment requires digital PR for enhancing your outreach. This article is not about dismissing traditional media outreach, but rather highlighting to strategically enhance it online. With digital PR, you can improve your SEO, increase brand awareness, and handle negative press by responding with positive, authentic content about your organization. Designing a logo for your business might seem like quite an easy task – draw a little square, add some effects or the name of your business and call it a day, right? Well, this is what many rookie entrepreneurs get wrong since there’s much more to designing a logo than that. Your logo is supposed to represent your brand and show your customers and business partners what you’re all about. And if you get the design of your logo right, it’s going to help your business succeed. The 7 tips we listed below are going to help you do exactly that, so make sure you check them all out. We all know much about the clichés used in logo design. You sure may be tempted to go with a simple arc over the name of your business or random colored dots around it, but these are hardly going to do any good for your brand. In fact, opting for clichés like the ones we mentioned above is only going to show your customers that you’re unimaginative which might make them turn to some of your competitors. So, instead of using a cliché try to come up with something different and embrace it as much as possible. Copying the logo of an existent company might be the easiest way for you to come up with the one for your business. Still, even if you change the shapes or the color pattern, the logo you copy from someone else is hardly going to achieve any success. Firstly, having a logo that’s too similar to another company’s logo might confuse your customers and this might make them turn to someone else who offers the same products or services you do. Also, if people at another company realize you’ve stolen their logo idea, they might end up taking legal actions against you. Every good logo has an interesting story to tell. And you won’t be able to give such story to your logo if you see it as nothing more than a simple pattern of lines and colors. Therefore, when designing your logo, you’ll need to try to come up with something that will make your customers come up to you and ask about it. And if you manage to make it consist of deep thinking and meticulous ideology, people will be guaranteed to like it and remember your brand. It’s also very important to mention that designing your logo is something you shouldn’t overdo. Simple logos are becoming a big trend and that’s why you shouldn’t make yours about illustrational skills and typography. Just take a look at the Nike logo and you’ll realize that it’s all about keeping it simple. Most of the time, their logo doesn’t need any caption in order to represent the brand. In fact, we all started to confuse that little thing for the entire Nike brand. This is the case because a logo is supposed to be merely an emblem and not a manifesto. Colors are always going to play an important role when it comes to the design of your logo. You should choose your colors according to what kind of work your business does and what kind of message you want your logo to send. For example, the color red is usually associated with urgency and if you’re selling fast food, using it may be a great idea. Also, the color blue creates a sense of trust and that’s why most banks use it. Learn more about every color and try to choose the ones that represent your brand the best. Another thing you need to have in mind when designing your logo is how you’re planning to use it and will it be able to serve the purpose. For example, having a logo that looks amazing on key chains, but horrible on coffee mugs is never going to do the trick. Therefore, it’s very important to make your logo as versatile as possible. It may be a good idea to test how your logo will look if you decide to put it on custom t-shirts or custom USB flash drives. Only once you’re sure your logo is versatile enough should you think about using it. Think about all the famous logos such Adidas, Audi or Google Chrome – it’s very important that you understand that these haven’t become iconic instantly. This can hardly happen even if you come up with the most amazing logo design for your company. The success of your logo is going to depend on the quality of your product success and the current state of the market. Therefore, don’t make any rash decisions and don’t think about changing your logo just because it doesn’t seem many people recognize it after the first few months. Follow all of these tips and you should be able to design just the perfect logo for your business. Still, you should be ready to change it in case it becomes outdated or you end up needing to recharge your publicity. 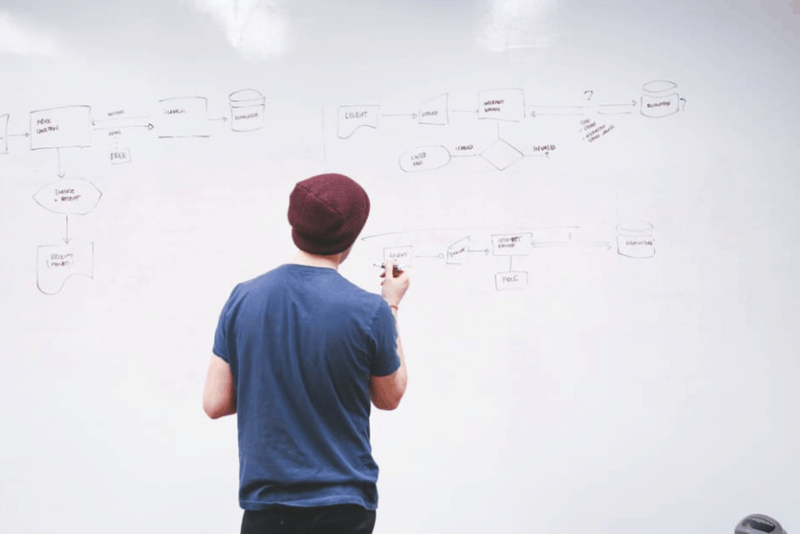 Speaking about business analysis, this is where businesses undertake a process wherein it establishes techniques to business challenges, to continue to boost its services to its clients, however without an appropriate system this stage usually takes considerable time. That's the reason why graphical dashboards and reports because of various business analysis tools nowadays are keys to making this method a lot easier and more useful. Furthermore, the active monitors and reports are useful for viewing visible workload and service levels at any time. As a result, possible breaches can be handled when these are observed and also may help examine every individual task. Business analysis tools help keep track of alterations in individual productivity of activities, monitor volumes of work in numerous business departments and keep track of each work item to process. E5 Insight is one example of a medium for business analysis that utilizes real time graphics and dashboards in evaluating business challenges and determining systems. In medical billing, a number of paper transfers and inappropriate applications will be reduced using a digital application and scanning the barcode in the workflow system. Once this is done, laboratories can reduce their service level agreement to 48 hours and even 24 hours. This can also cause billing representatives to process more than 100 applications during their 8-hour shift to finish much more every day for sure. Business analysis tools help create a more environmentally friendly environment with payroll parameters due to the reduction in the use of paper documents and switching it through "scanning and coding" methods. Also, diagnostic testing services will be able to identify and implement "green initiators" throughout the company, since this minimizes all paper forms related to wages. This can make processes more efficient with the use of SharePoint combined with the company's business applications. By eliminating 99% of paper documents, it can speed up processing times as there's no reason to wait for documents to be mailed. The SWOT evaluation is among the more usual types of business analysis. The objective of a SWOT is always to evaluate the inner and outside factors which are affecting your company or competition. This can be done by analyzing skills, weak points, opportunities plus. Using this method, it is possible to get a relatively detailed manifestation of the present market. PESTLE is a second common evaluation strategy. PESTLE is short for that represents Political, Economical, Sociable, Technical, Legal and Ecological. The goal of PESTLE is always to check out the outer macro atmosphere to be able to identify possible factors that may affect the industry or company functions. MOST is another common evaluation strategy. It's just like the PESTLE evaluation apart from its function is to evaluate the inner atmosphere instead of the outer environment. Similar to PESTLE, MOST Mission, objectives, strategies plus Techniques. Business Analysts are an essential focal point in all businesses; they implement their abilities to take the overall picture and split it into more compact parts, making it simpler to make sure that company assets are being employed in the best way thus achieving the outcomes. Finally, health claims can also be enhanced. Tools such as proprietary imaging and production workflow may help in offering efficiency through migration of all active claims and imaging data across new platforms. Its automated work allocation will be able to manage all resources and its productivity levels by knowing which work to assign to every team member thus improving workload management. This gives the end-to-end cycle to get the work done on time dealing with any issues of compliance. Martha G. Nelson is author of this research article. She also writes about how to predict stocks at StocksNeural platform. Comments Off on Marketing or Systems? Your staff is fighting fires because your systems are gaffer taped together. They were fine in the earlier days when you weren’t so busy, and everything was a custom job, but now mistakes happen because of the pressure from the volume of customers and you and your staff are forever in fix it mode. Deciding what is important, the mission critical items that only you can do. Delegating, outsourcing or dropping the not-important, non-urgent tasks which are taking your time. Booking uninterrupted time with yourself to focus on the mission critical items on your list. Once you have created the time, and you examine the choice between your marketing and your systems, it will become clear that the problems are actually quite similar. The reason why you don’t know which marketing campaigns produce the best results is that you don’t have a system to measure them. The reason you aren’t able to filter your customers is that there is no system in place to do so. 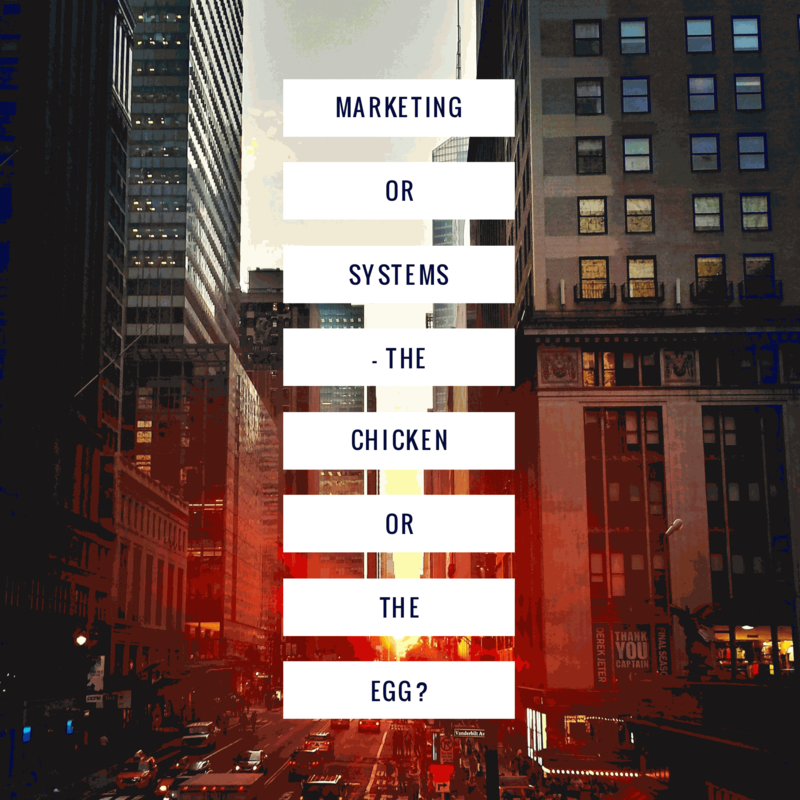 Your Business Management System will enable you to better utilize your staff to address both the marketing and the operational issues so you are not trying to do it all yourself, and you can leave it to the philosophers to continue the never ending debate on which came first, the chicken or the egg. Because of the afore mentioned data bombing, if our brains come across something familiar or easily recognizable, our brain will pay no attention to it (assuming it's not dangerous). Trying to pitch something that is not unique, different or specialized in any way is an attention killer. The more specialized you are and the more succinctly you articulate the unique problems you solve, the more novel your pitch will be, and the more attention your audiences will give you. I do NOT mean you should spend hours flipping through your thesaurus to find different words to say the same thing or using superlatives to 'wow' your audience. Instead, this will just put a more cognitive load on your audience's brains forcing them to make one of two choices. a) Allocate significant recourses to decode what you're talking about. OR b) Ignore you. For your brain, which is a cognitive miser, it's a simple choice. This is social dynamics at it's best. As people, we want what we can't have, we tend to chase what moves away and we only value what others do too. If you come across as though you need something, that something will tend to move in the opposite direction. There's a big difference between intention and attachment. Having an intention to win the deal is essential. It will be good for you and the world and it's ok to want it, but if you appear to be attached to the outcome, you will come across as needy and desperate and that doesn't end well. Guys, for a case in point, approach the cute girl at the bar and say "I can't seem to get a date with anyone, will you please go out with me?" It works fast. WAITING UNTIL YOUR PITCH IS PERFECT. NDA's are junk. They're only as good as your ability to fight them in court, which you can't afford to do, so their attempted use flags a novice and devalues you in the eyes of any half sophisticated audience. If your idea is so fragile that it breaks the moment it leaves your mouth, it's not a good idea. If someone can replicate your idea without you, it's an indefensible commodity and not a good idea. If it can easily happen without you and requires heavy legal protection to keep you in the deal, it's not your deal to make. There is a fundamental disconnect between 'value' and 'reward'. As a result, people with low skills and bad ideas can be highly paid, and people with high skills and great ideas can be chronically underpaid. The market is unable to place a high value on anything until that value is clearly articulated. A Killer Pitch must articulate that value clearly, simply and compellingly. 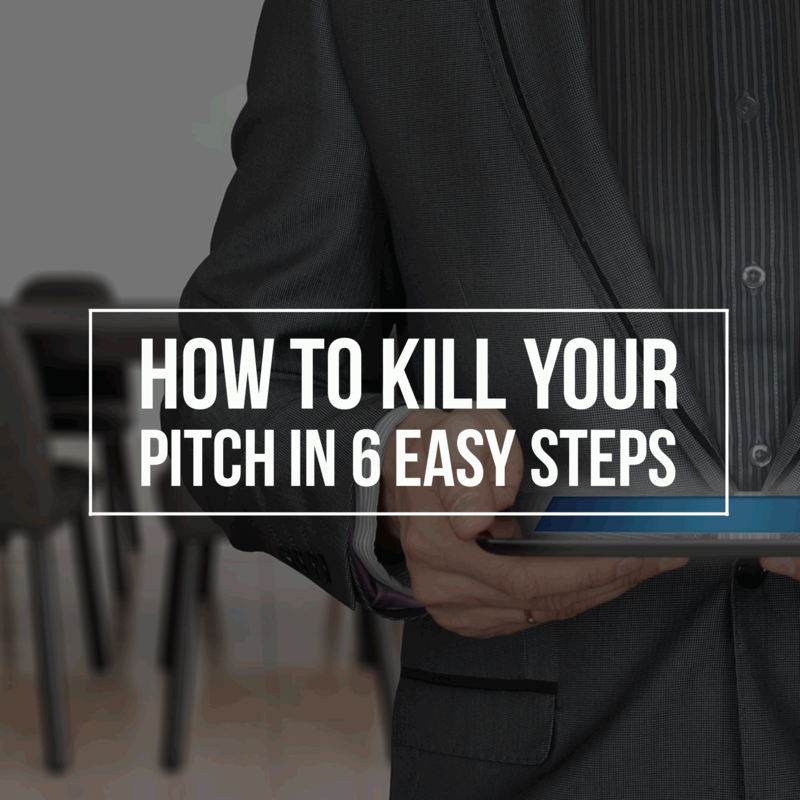 Hopefully, these 6 killer mistakes will help you hone your pitch so you get what you want. Remember, you get what you pitch for, and you're always pitching. Half website visitors never get past your first page. The average time on websites is less than a minute, perhaps time to read less than half a page of text. Then most are gone, never to return. That is they won’t unless you give them a reason to do so. In most cases, when a visitor reaches your website, unless you have spent a lot of time developing your brand in other channels, it will be the first time they have heard about you. So they have stumbled upon you by accident. Your first job is to make them feel that they are in the right place to find what they are looking for, and they should linger rather than clicking on the back button. However, because they have just found you, they may not be ready to call or email you. Perhaps they will bookmark your site because they found it so interesting, and then forget about the bookmark. (How many sites have you bookmarked, and how many have you returned to?) Alternatively, they may ‘Like’ your page through your Facebook link. Both of these strategies leave things too much to chance. As you build your database, you are able to stay in touch with your visitors giving further reasons to return to your site. Other strategies don’t even require email addresses to stay in touch. While the initial visit may have been a brief one, and the person may not have been ready to buy at such an early stage in your relationship with them, by staying top of mind, when they are ready, they will remember you and the value you provided, and ready to trust you to meet their needs. How do you meet objections raised against your offers and advice? What do you say? How do you say it? Remember, objections have a positive upside because they give you the chance to help the prospect by removing their doubts, reshaping their attitudes or putting new thoughts into their minds. The following tactical and strategic methods of answering and countering objections are varied and of different intensity. Some objections are best answered with a direct denial. This would be particularly true if the prospect makes a false statement about your proposal, products or personality. The head-on method is used with prospects you know fairly well and where you understand their objection and the reason they made it. You can then dismiss the whole question with a direct statement. This is the most widely used method because it fits most situations and can be used inoffensively and courteously with any type of prospect. Here the prospect’s objection is turned into a positive reason for buying. This is an effective method; however, it should be used with considerable tact, since some prospects may resent having their objections thrown back at them. Both you and the prospect will be worn out if you try to give documented answers to every question they raise. 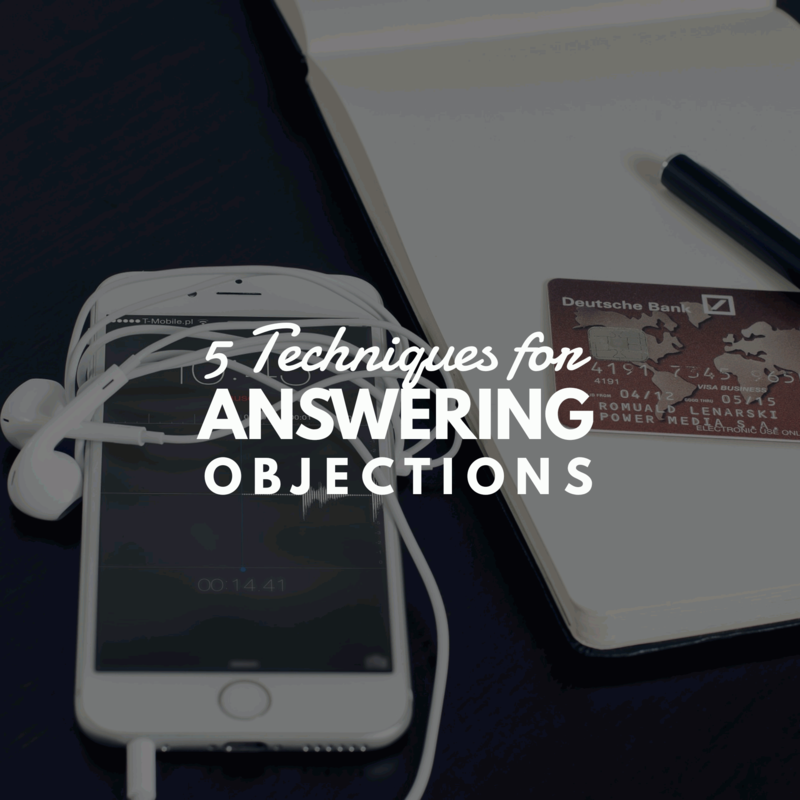 Many times objections are a just conversation. So often the prospect doesn’t really mean them. They are just seeing if you know your stuff! Even ask the question: "Is that of paramount importance to your decision?" Be prepared of course with an answer if they say yes! A strong closer is a person of conviction and belief in their advice and proposition. They believe implicitly in their product or service, and by their enthusiasm, they can really convert others. The reason some people find it difficult to use motivation is that they themselves lack a deep-seated belief in the plan they are offering. The motivating story, like any other type of close, has its roots in the interview itself. The story is wasted, actually harmful, if not told at the proper place and without conviction. A motivational story is exactly that. It is your verbal case study. It tells of a problem that is similar to the prospects. This means they can align themselves to the story. Then you propose a solution using your products, services or experience and expertise. The prospect can then see how by utilizing your capabilities they can divest their self of the problem by implementing your solution. True motivation is not a last-minute Appendix, hopefully, tacked on at the conclusion of a presentation. True motivation is built into the entire sales procedure.